Last week, in light of the General Conference’s action to endorse the Traditional Plan, I wrote a pastoral letter sharing my reflections. If you’ve not had a chance to read it, you can find it online. Here are some general thoughts since then. 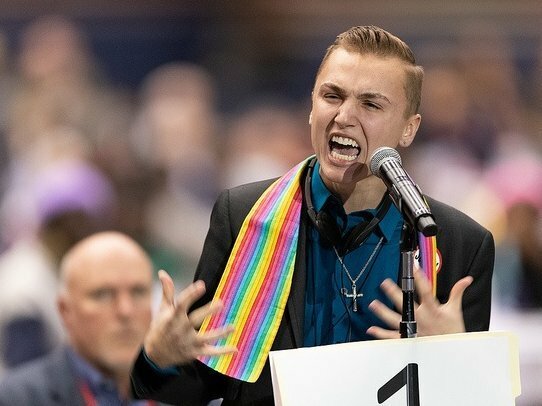 The United Methodist News Service posted an article that summarizes the actions that happened on the Conference’s final day. This gives a behind-the-scenes look at what took place, along with a summary of the Traditional Plan and the resulting conversations. Here’s their recap. People are beginning to talk about future steps. Rev. Adam Hamilton, lead pastor of the Church of the Resurrection, tweeted about a meeting at his church following Easter. It would be with key denominational leaders, including bishops, and would “discuss where Methodism goes from here.” Will keep you posted. Now, let’s get back to the work God’s given us to do here at this amazing church and group of disciples at Manchester UMC. The children, in their wonderful musical this past weekend, remind us of the very bright future that does indeed lie ahead. This officially starts the Lenten season, and it will begin with a very moving worship experience. The service will feature reflective music, scripture, a message from Pastor Stephanie, the administering of ashes, and time for quiet prayer. Last year approximately 300 people stopped by our drive-thru location on Manchester Road for the imposition of ashes. It was a tremendous outreach opportunity. Your pastors will be doing this again on Ash Wednesday, offering prayer as well for all who stop. It’s open 7-9 a.m., 11 a.m.-1 p.m., and 4-6 p.m.
It’s always healthy to clean a house, and even healthier to clean our souls. We’re going to explore a fascinating teaching of Jesus as we begin our Lenten journey together. Feel free to study and reflect on Mark 9:42-50.